Latest Oregon Poll Has Initiative at 44%. 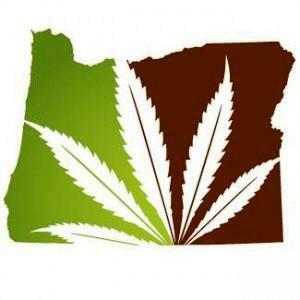 A new SurveyUSA poll has support for the Measure 91 marijuana legalization initiative at 44%, with 40% opposed, and 16% undecided. The high number of undecideds may be an artifact of the way the poll question was asked -- it asked if voters were "certain" to vote for or against the measure. An even split among undecideds would result in passage of the initiative. This is a decline from an August SurveyUSA poll, which had the measure at 51%, but the questions were worded slightly differently in the two polls. Click on the links for more poll details. Philadelphia Judge Dismisses 59 Drug Cases Involving Dirty Narc. The cases involved former narcotics officer Jeffrey Walker, who has been convicted of plotting to rob drug dealers. That brings to 160 the number of cases involving Walker that have been vacated since he was indicted in May 2013. Another 58 cases remain open. Walker is now cooperating in a broader probe of the narcotics unit, where six officers were charged in July with robbing, beating, and kidnapping drug suspects. Colombia Reveals Details on Drug Policy Treaty Provisions With FARC. Colombia Reports has an in-depth look at the drug provisions in the work-in-progress peace negotiations between the Colombian government and the leftist rebels of the FARC. A preliminary agreement was released Wednesday in the face of criticism over the lack of transparency in the process. The two sides have agreed on national-level programs to conduct consensual illicit crop substitution, address drug use through a public health approach, and beef up law enforcement to combat criminal groups involved in drug trafficking. Click on the link for much more. Mexican Congressman Assassinated By Drug Cartel. Prosecutors in the state of Jalisco are saying they believe Dip. Gabriel Gomez Michel, who was abducted from a highway on the outskirts of Guadalajara on Monday, was most likely killed by a drug cartel. The bodies of Gomez and his driver were found in his burned out vehicle on Tuesday and positively identified on Wednesday. Prosecutors are pointing the finger at the Jalisco New Generation Cartel, a relatively new entrant in the cartel wars. Mexico Arrests Eight Soldiers in Apparent Execution of Drug Gang Suspects. Seven soldiers and their commander have been arrested over the killing of 22 suspected drug gang members in a June 30 incident in the village of San Pedro Limon in Mexico state. The army had said the victims died in a fire fight with soldiers, but witnesses said they were killed in cold blood, and further suspicions were raised by the one-sided nature of the conflict. Only one soldier was slightly injured. Witnesses said only one person died in an initial confrontation; the rest were killed after surrendering. The army said they were members of La Familia Michoacana. Canada First Annual National Drug Reform Rally Set for Tuesday. The first Annual National Rally for Canadian Drug Policy Reform will take place September 30 in Ottawa. A day earlier, proponents will meet with members of parliament to discuss evidence-based drug policy reforms. The rally is sponsored by the Canadian Drug Reform Network, the Canadian Harm Reduction Coalition, and Canada NORML, among others. Click on the link for more information.